Pre-crimped on one end for instant use, these wrappers offer the ultimate in speed and convenience. 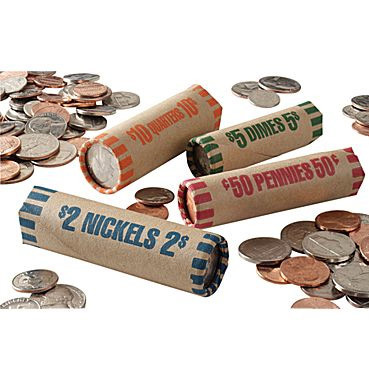 Made from 60# Natural (Brown) Kraft paper, these coin wrappers are some of the strongest available. They are available in bright, fade resistant, and ecologically safe ABA colors. Meet all Federal Reserve Bank and ABA standards. All are packed 1,000 wrappers per case and each case weighs approximately 5 lbs.